Saving the world, one word at a time. Suga Moriwaki found a way to support her passion for nature with an unexpected windfall emerging from a chapter of her childhood. Profiles of extraordinary journeys reserved for some of The Nature Conservancy's most generous supporters. Trout Unlimited volunteer, Shannon Mayes, includes educating the next generation among his top priorities. Floating on the Susquehanna River on one of the historic Millersburg ferries provides Central Pennsylvanians a chance to step back in history, if only for a short time. 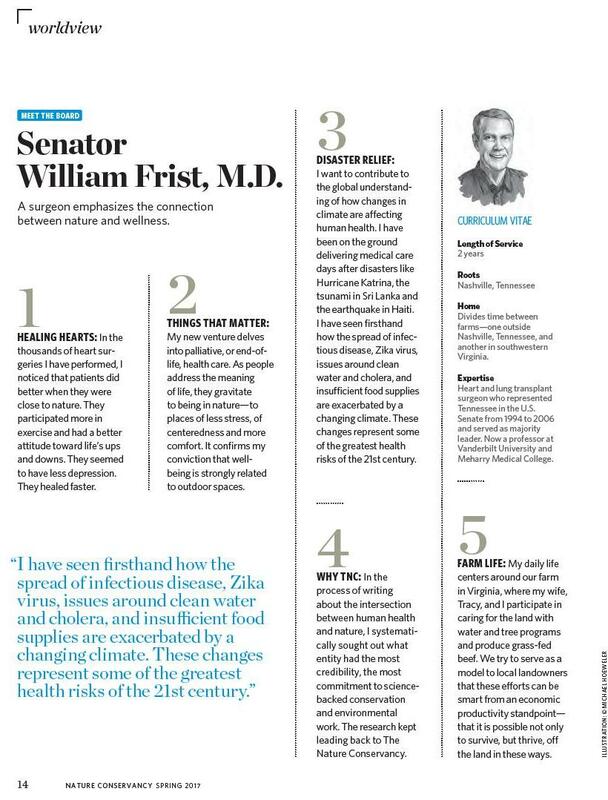 Meet the Board: Senator William Frist, M.D. Former U.S. Senator and Majority Leader, Bill Frist, gives a glimpse into what inspires him to make the planet happier and healthier for people and wildlife. The Nature Conservancy's Pennsylvania Chapter reports on recent conservation successes. A glimpse into how Eleanor Roosevelt's resilience earned her an important place in history. This local education foundation funds programs and projects that taxpayer dollars no longer cover. The Pennsylvania State Park system works to inspire residents to get outside and connect with nature. A local conservation organization marks 50 years of preserving nature in a rapidly growing mid-Atlantic state. The healing powers of fly fishing--and nature--take hold on some of our nation's bravest heroes. 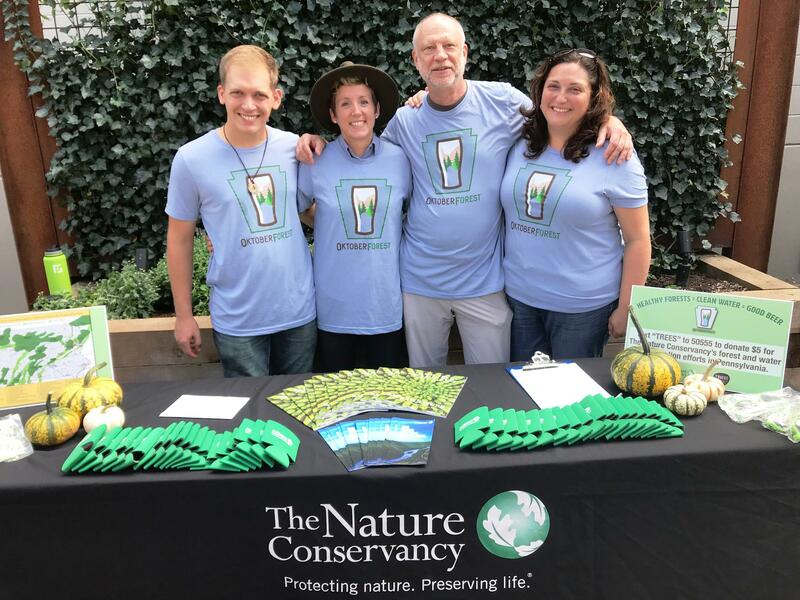 The LilyRock Group Creative: Tee-shirts designed to promote a HEALTHY FORESTS=CLEAN WATER=GOOD BEER campaign in partnership with Tröegs Independent Brewery.